CPX is a WEEK AWAY! We celebrate with Bolt Motorbikes on its incredible company and technology. Come check out Bolt next Wednesday! “If Tesla and Apple had a lovechild with Honda, it would be a Bolt. 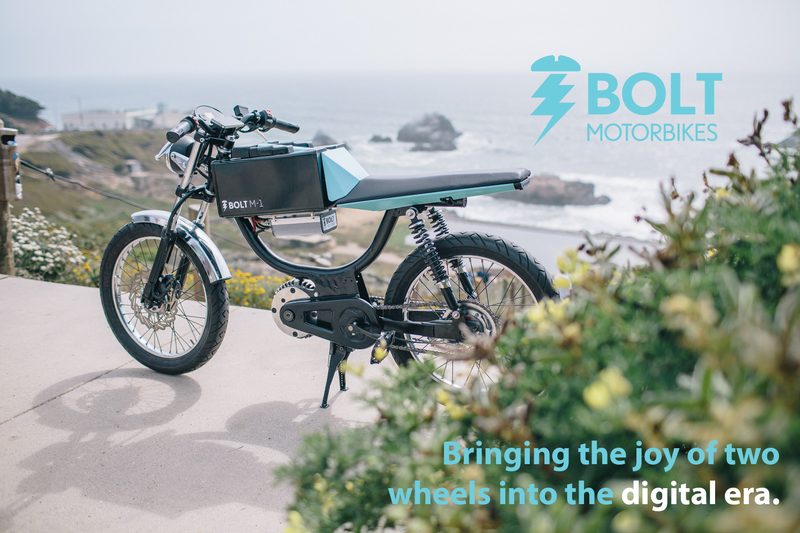 Our mission is a uniquely attractive, fully electric motorbike for urban transport that is simple to operate, fun to ride, and desirable to own. Bolt solves the problems associated with urban transportation and makes riders the envy of their peers. Traffic, parking, and high cost of ownership vanish with a Bolt. Our fully-electric motorbikes do not require the paperwork of comparable-performance gas-powered bikes, so the barrier to entry for new riders disappears.